Playa Conchal offers some of the best water activities right from it's beach. Playa Conchal offers snorkeling, fishing, spear fishing, and scuba diving. Playa Conchal offers a healthy life style for those who are into yoga, golf, tennis or just wanting to each healthier food. Vendors sell lobster and red snapper right on the north-end of the beach. Buying a Home in Playa Conchal can change your life. KRAIN Real Estate is located within 10 minutes from this resort. Come Visit us today and change your life forever. Invest in your happiness and Costa Rica Real Estate. 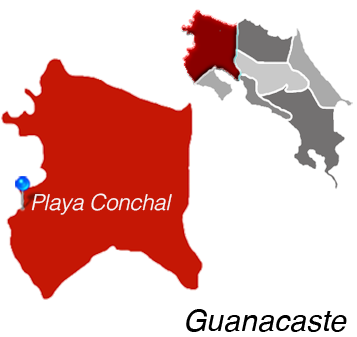 Both part-time and full-time residents in Playa Conchal arrive from the United States and around the world. Whether for a relaxing, retirement, or for a luxury-filled vacation away from the stress of everyday life, Playa Conchal delivers on all accounts. Private clubs ensure you'll have access to your favorite hobbies and activities. Practice your swing on the Robert Trent Jones II-designed golf course, then mingle with new friends in the clubhouse. Or, you could opt to take private lessons in the members-only tennis club. If all that sounds a little too active, hone your lounging skills alongside any of the area's magnificent private pools. Life in Playa Conchal focuses on one thing, and that is enjoying relaxed beachfront living. Whether you invest in a condo, private home, villa, or any other type of luxury home in Playa Conchal, you'll enjoy a fun, stress-free lifestyle. The impressive Westin Resort in Playa Conchal has nightly entertainment and multiple bars for those who are looking for some night-time diversions. The nearby village of Brasilito, located less than two miles away, has a casual atmosphere with a handful of restaurants and bars that often stay open later into the evening. Brasilito is also home to small shops and has a traditional Costa Rican feel to it. Naturally, the town is centered around a soccer field where you'll see everyone from toddlers to grown men playing the favored national sport. There is no hustle and bustle to daily life in Playa Conchal. Vacation rentals and luxury homes line the incredibly beautiful beach. Those who live here have two larger cities nearby–Tamarindo is just half an hour south, and Playa del Coco is less than an hour north. If you're looking for a greater variety in restaurants or stores, or are just aching for more action, both of these large beach towns have plenty to keep you entertained and busy for a quick getaway. The Guanacaste region, where Playa Conchal is located, is home to three new medical facilities that bring international-quality healthcare to area residents. In fact, it's hard to believe that just a few short years ago, residents had to travel to San Jose to seek medical attention. Investors have recognized the demand and need for world-class medical facilities in the Guanacaste region and have responded accordingly. CIMA Hospital opened its second location in Liberia in 2012, and has full laboratory services, a 24-hour emergency room, operating rooms, radiology department, and a pharmacy. Clinica Biblica is another one of three major private hospitals in Costa Rica. They have opened a full-service clinic in nearby Carrillo, which is staffed by a full-time bilingual doctor. They offer consultations, laboratory services, and other basic medical care at this remote location. Finally, Liberia is also home to the San Rafael Archangel Hospital and Medical Clinic, which has received significant praise since opening and then expanding in 2012. This modern hospital offers a wide variety of services and continues to grow in an effort to better serve the local community. Thanks to the high quality of medical care available in Costa Rica, medical tourism is a popular trend in this area. 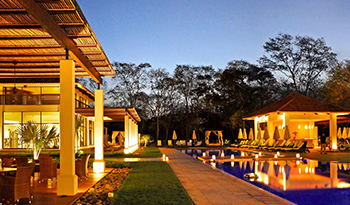 San Rafael Archangel Hospital is considered by many to be the best hospital in Guanacaste.